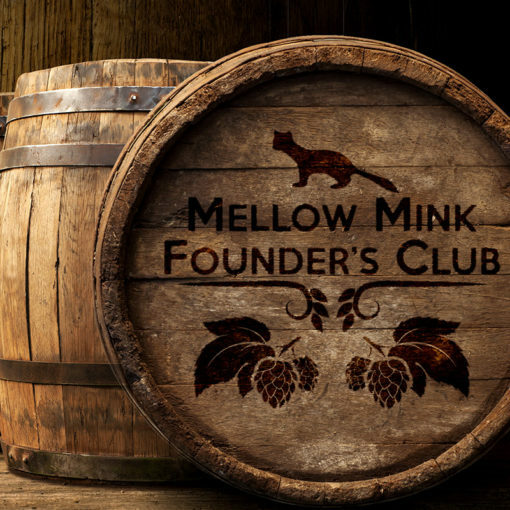 Membership in the Mellow Mink Founder’s Club. 8 bottles of aged and blended sour beer that will not be released to the public. Access to all of our other limited sour and farmhouse ale releases before they go on sale to the general public. A pair of custom beer tasting glasses. A collectible metal challenge coin. For more details on membership, click here.